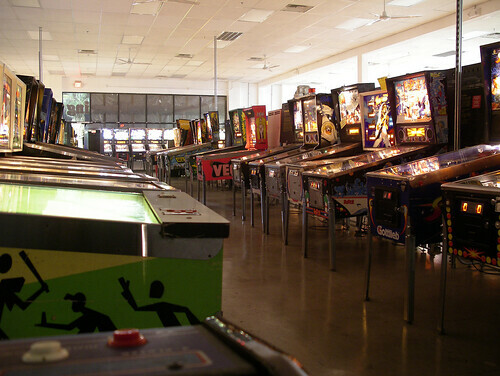 Pinball Hall of Fame’s new home. 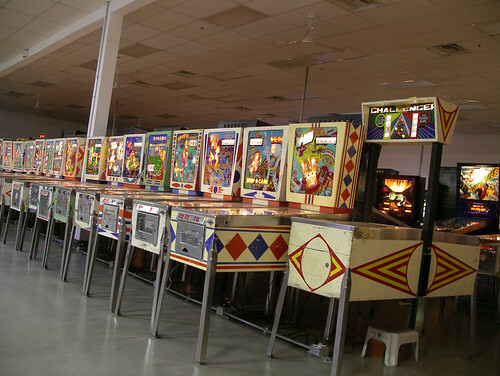 On Tuesday, November 3rd, Tim Arnold’s Pinball Hall of Fame reopened in its permanent location, a 10,000 sq ft former tile store across from the Liberace Museum here in Las Vegas. I dropped by last night a few minutes before closing, and took a handful of photos of the new space. The exterior isn’t quite there yet. Note the remnants of tile advertising on the exposed windows. New machines (including everything Stern has done in recent memory) line the front wall. 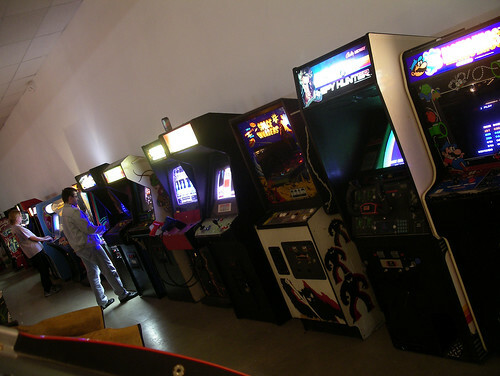 Not a whole lot of arcade cabinets, but they appear to be in better shape than they were before. The Gauntlet Legends, for one, finally received the cap kit (or new monitor) that it desperately needed. 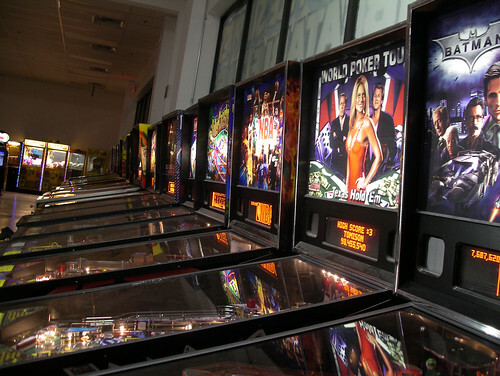 Classic EM pinball machines. 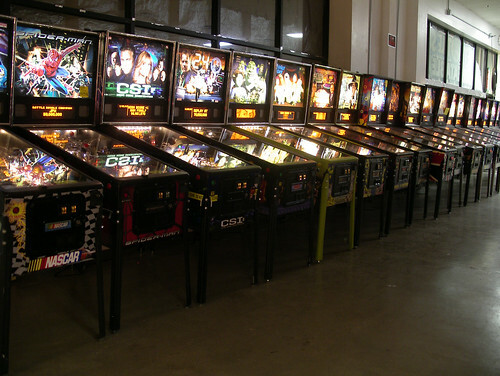 The head-to-head Gottlieb Challenger in front is one of my favorites in the building, nice to see it front and center this time around. Even more pins. 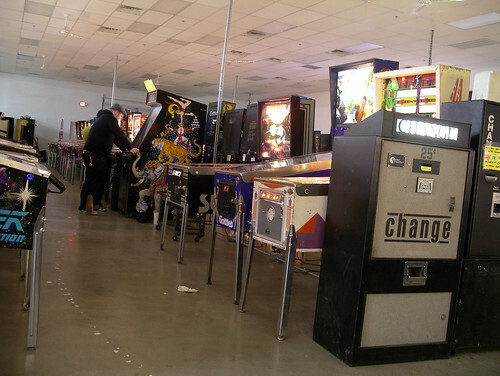 The guy in the photo is playing the upright Williams experiment Pinball Circus, one of only two in existence. 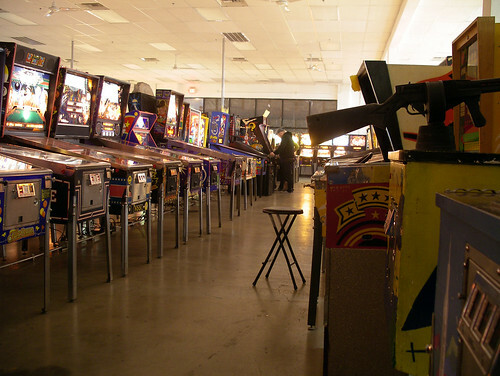 EM arcade games are scattered about here and there. Seriously, this place is huge.